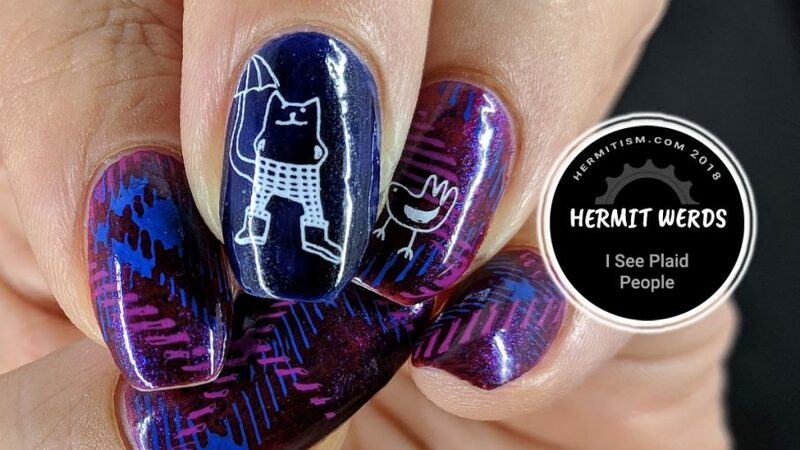 This was my first time stamping my own plaid design onto my nails and I’m pleased to say I messed it up but I’m still happy with the results. Plaid has always just been one of those fabric patterns that’s there and so present in my life (I was attending high school during the “grunge” age) that I always took for granted what silent rules made plaid…plaid! So I jumped right in and stamped pseudo-randomly and things like the lines are not going the right way all the time. More study is needed for more authentic results. Still. 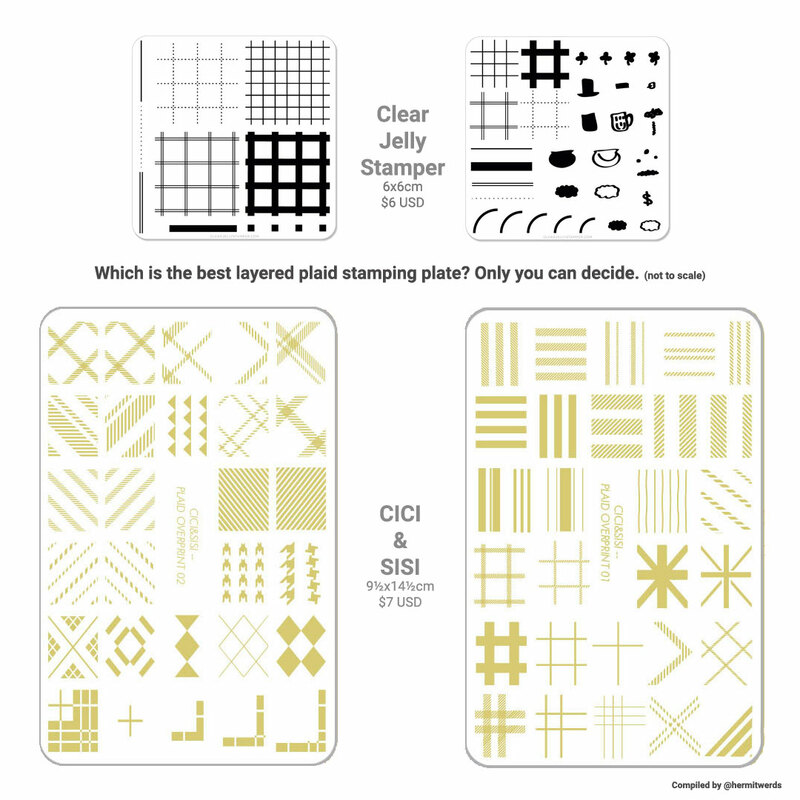 Using CICI&SISI’s acrylic stamping plate Plaid Overprint 02 was really easy. I had no problem with pickup on my clear stamper as long as I cleaned the plate after each use. And there was plenty of variety in pattern so I can get a ton of use out of this. It even has argyle! Now, I’d still have to want to do a plaid nail design, but I’ve been really admiring some of the handsome plaid looks I’ve seen in the past months so I think the answer to that is, yes! 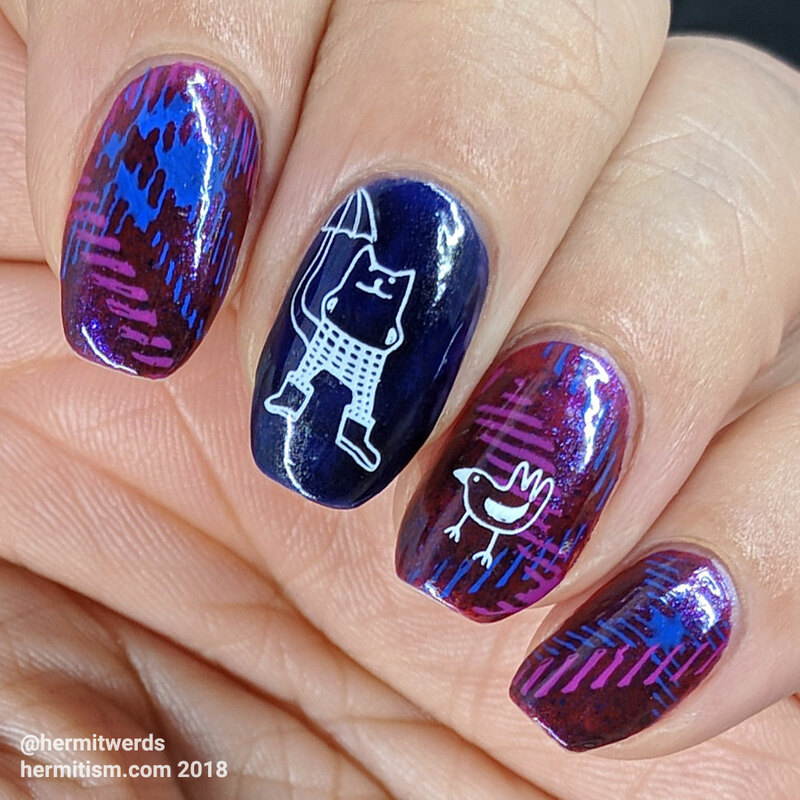 I do want to do more plaid nail art in the future! Oh, who am I kidding. I’d still have more ideas than time.